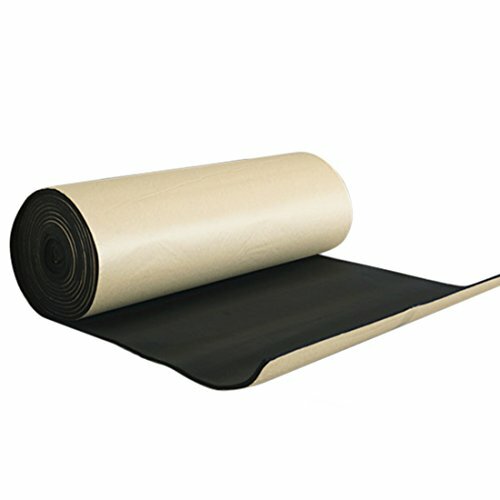 uxcell 197mil 6.46sqft Car Truck Cell Foam 5mm Sound Proofing Insulation Noise Control Deadener Mat 40"x24"
Uxcell Liner has the same characteristics and excellent noise insulator properties as rubber foam. It absolutely doesn't absorb water & has no odor unlike polyurethane foam. It has a very low weight, oil and petrol resistant. The material used is an excellent insulator! The sound deadener material allows you to deal with both, cold and the heat. This is especially important in hot climate areas. Well-insulated interior is a pledge of high comfort while in vehicle. Liner heat shield material will solve the problem of excessive heating if your car is equipped with a powerful engine and enhanced exhaust system. It is also easy to use Liner as the hood insulation (hoodliner). View More In Insulation & Noise Control. Cascade VB-2 Acoustic Damping Sheet 13.9 sq. ft.
uxcell 236mil 10.76sqft Car Engine Floor Cargo Area Sound Deadener Heat Insulation Dampening Mat 40"x40"